Maruti Baleno price starts at Rs.5.46 lakh (Ex-Showroom, Delhi) and the top end variant Maruti Baleno Alpha CVT is priced at Rs. 8.78 lakh (Ex-Showroom, Delhi). The Baleno now gets two new BSVI compliant petrol engines, while the diesel engine remains unchanged. There’s a 1.2-litre BSVI petrol motor, a 1.2-litre 'DualJet' petrol motor paired to a 'Smart Hybrid' mild-hybrid system and a 1.3-litre diesel. The diesel engine makes 75PS of power and 190Nm of torque, and comes paired with a 5-speed manual gearbox. This engine is plagued by turbo lag, but once on the boil, it does deliver grins alongside efficiency. The 1.2-litre motor used to develop 83PS/115Nm and did not mind revved to its redline. It was smooth, refined and pepp y, a combination that was hard to say no to. Over the 5-speed manual, there was an optional CVT too that bumps up the convenience quotient. Changes made to make the engine BSVI compliant may or may not have affected its characteristics, we will have to drive it and see. Maruti has added a new 1.2-litre DualJet Dual VVT petrol engine to the Baleno's lineup which is also BSVI compliant. Apart from being more fuel efficient and less polluting, the engine could be peppier than the standard 1.2 petrol motor - this is thanks to the torque-fill provided by the Smart Hybrid system. Performance numbers are awaited. This engine is only paired with the 5-speed manual variants. There’s a 1.0-litre turbocharged petrol engine under the bonnet of the RS variant. Sadly, it’s not as sporty as Maruti claims. Q. 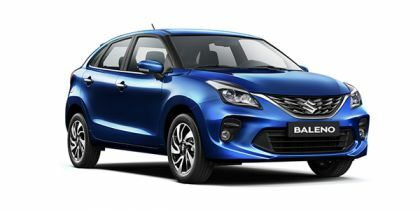 How is the build quality of Baleno 2019? Q. Swift looks small compare than Baleno and space also. Still we are confused to take decision. How is your experience about Swift while driving? Q. How is Maruti Baleno Delta petrol and safety wise on highway ? Q. Elite i20 automatic or Baleno automatic, which car is better in performance, milege, pick up and maintenance?